If you have seen rhinestone heels and new pearl jewelry floating around on social media, they are from the designer of Marc Defang. In my opinion, pageantry's high end fashion jewelry at it's finest. I have been inspired by his line for quite some time and I am very impressed with how these hand-crafted statements are pieces of excellent quality in an elegant way, which can be worn both day and night or on the red carpet or even on stage adding a noticeable touch of effortless luxury to your look. 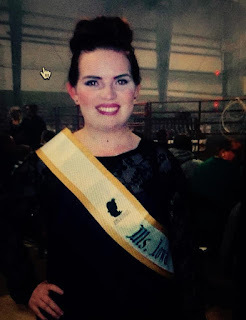 MARC DEFANG has been in business ince 1999 with a luxury line of high quality handmade jewerly, gowns, shoes, and accessories for the pageantry industry. All of his hand-crafted items are top quality guaranteed with finest materials of pearls and crystals, 100% curated and hand-made designer pieces for special evening, gala, pageants, or every day socialite carry and use. He is an international fashion designer, raised and educated in New York City. In his early years of fashion career, he worked with other well known people such as Anna Sui, Isaac Mizrahi, Ann Taylor in New York City and Jockey in Wisconsin, USA. His brands are located in New York and Charlotte, North Carolina. 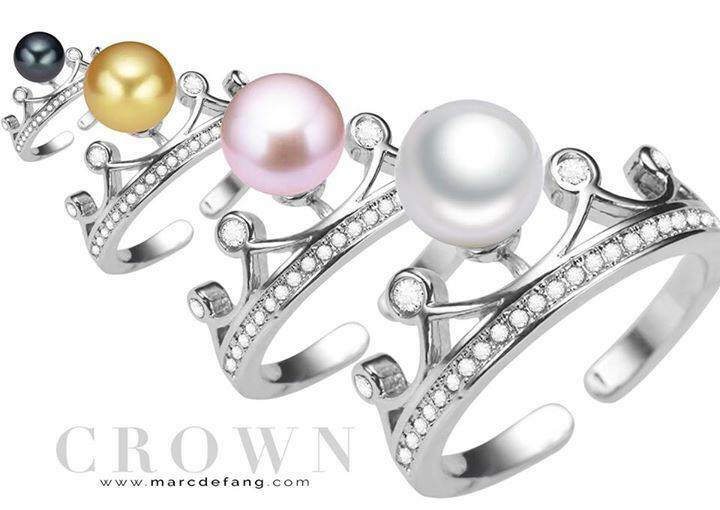 MARC DEFANG jewelry have reinterpreted jewelry bling in a very elegant way throughout their collection. The pieces are extraordinary, high quality with proliferation of color and sparkles, yet feminine and beautiful. 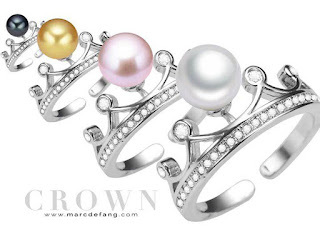 All of MARC DEFANG's jewelry are gold and silver purely 18K Gold and S925 sterling silver and never tarnish. Rings come in the size of 5-9.5. 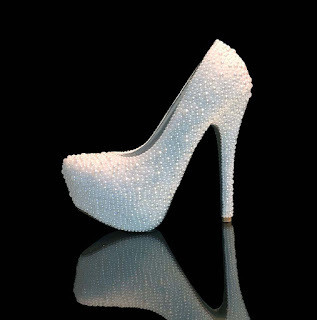 These are perfect for any pageant girl or girls simply in love with pearls. 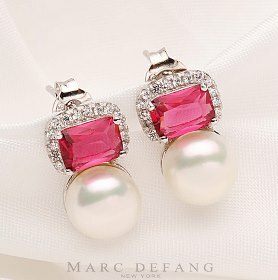 MARC DEFANG 7-8mm Freshwater Pearl Sterling Silver Zircon Stones Fuchsia Reinstone Earrings. These beauties are just perfect to wear in headshots, interviews, public appearances and even on-stage. My favorite piece that I have came across is this very elegant and outstanding Small Crown Design 9mm White Pearl Sterling Silver Zircon Stones Adjustable size Ring. I love how it pops out on the top, the crown holding the pearl shows purity all around. You can easily wear this as an every day statement or on the red carpet, on stage or even in your pageant photoshoot. 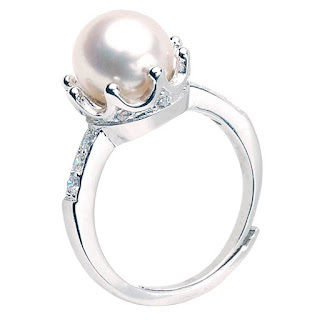 This ring comes in various of sizes between 3.5-11 and stone color of purple or white pearl. MARC DEFANG is your perfect jewelry companion because you will not feel as apprehensive about it as you would with any kind of jewelry. His line is a versatile piece that t will take you on a whole better level than your every day wear. Be sure to visit his website for more, you will be amazed by all that he can provide. VIPPAM20 for 20% off your order.